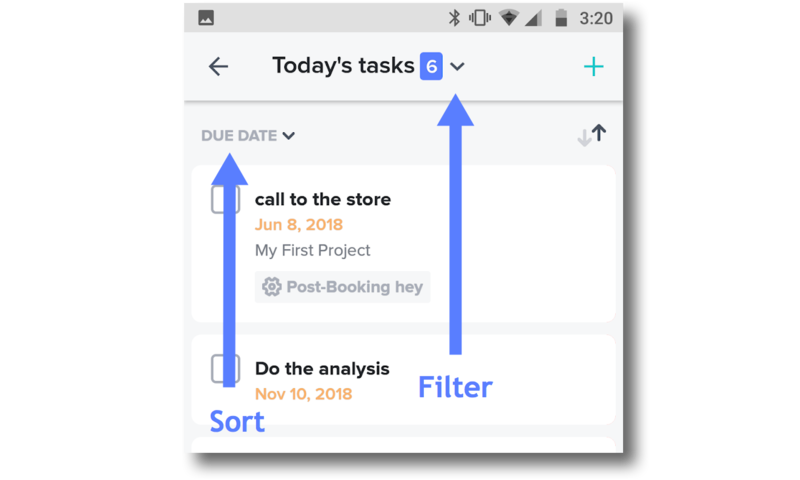 Tasks in HoneyBook are your internal to-do list, visible only to you and/or your team—but not your clients!—making them a great way to keep your Projects organized whether via desktop, or, as detailed below, via the iOS or Android app! From the Android app, you can access your full task list, as well as viewing and editing tasks from within individual Projects. 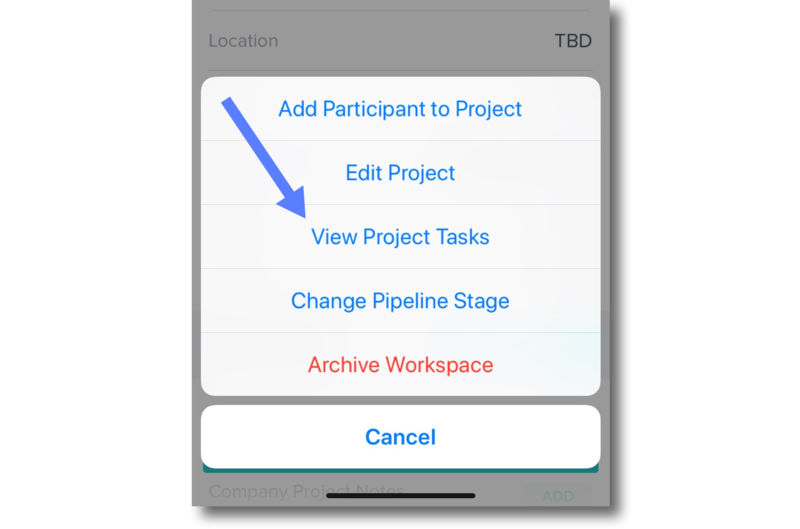 To access your task list, from your home screen (Pipeline view), tap the Tasks icon in the top left corner. You can also add a task by tapping the plus (+) button in the top right corner, entering the task details, and tapping Save. At the moment, the iOS app does not have the ability to access and manage the full task list. You can, however, access and add tasks from within individual Projects! 1. Navigate to the Project on which you'd like to view or add tasks. 3. Tap View Project Tasks. 4. 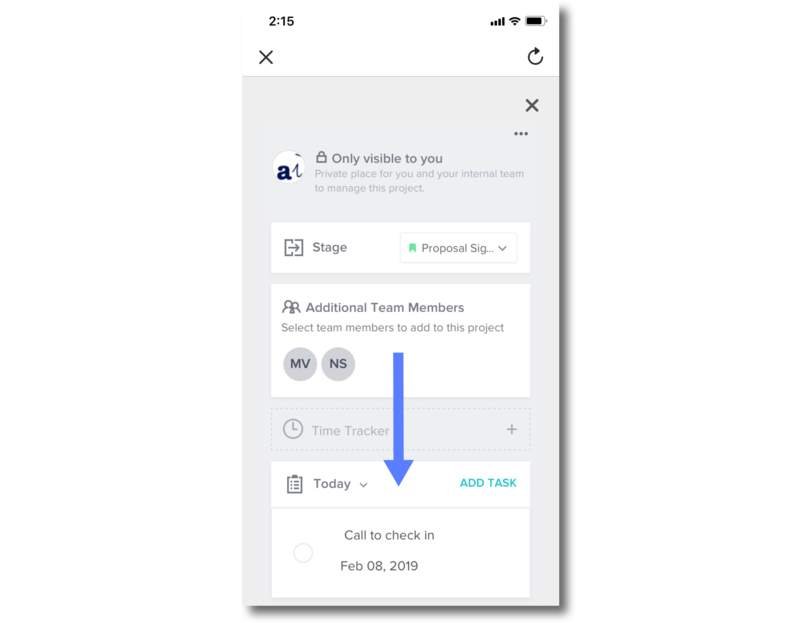 This will option the mobile version of the Project Options tool bar, where you can view existing tasks or tap Add Task to add. 5. Make sure to tap the close (X) button in the top left corner when you're ready to be taken back to the main app!